PASADENA, Calif. -- After driving more than a football field's length since landing, NASA's Mars rover Curiosity is spending several days preparing for full use of the tools on its arm. Curiosity extended its robotic arm Wednesday in the first of six to10 consecutive days of planned activities to test the 7-foot (2.1-meter) arm and the tools it manipulates. 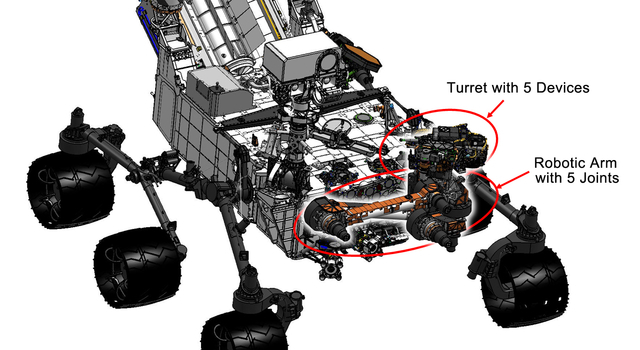 "We will be putting the arm through a range of motions and placing it at important 'teach points' that were established during Earth testing, such as the positions for putting sample material into the inlet ports for analytical instruments," said Daniel Limonadi of NASA's Jet Propulsion Laboratory in Pasadena, Calif., lead systems engineer for Curiosity's surface sampling and science system. "These activities are important to get a better understanding for how the arm functions after the long cruise to Mars and in the different temperature and gravity of Mars, compared to earlier testing on Earth." 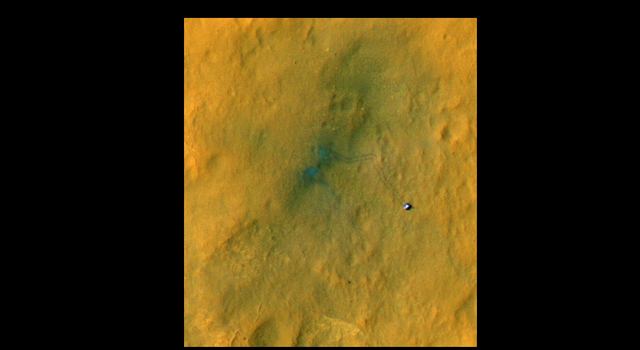 Since the Mars Science Laboratory spacecraft placed Curiosity inside Mars' Gale Crater on Aug. 5 PDT (Aug. 6 EDT), the rover has driven a total of 358 feet (109 meters). The drives have brought it about one-fourth of the way from the landing site, named Bradbury Landing, to a location selected as the mission's first major science destination, Glenelg. 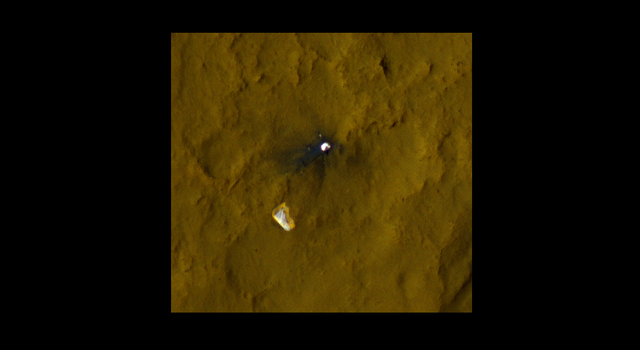 "We knew at some point we were going to need to stop and take a week or so for these characterization activities," said JPL's Michael Watkins, Curiosity mission manager. "For these checkouts, we need to turn to a particular angle in relation to the sun and on flat ground. We could see before the latest drive that this looked like a perfect spot to start these activities." 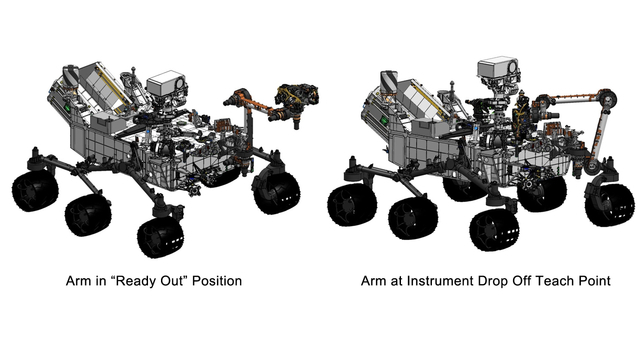 The work at the current location will prepare Curiosity and the team for using the arm to place two of the science instruments onto rock and soil targets. In addition, the activities represent the first steps in preparing to scoop soil, drill into rocks, process collected samples and deliver samples into analytical instruments. 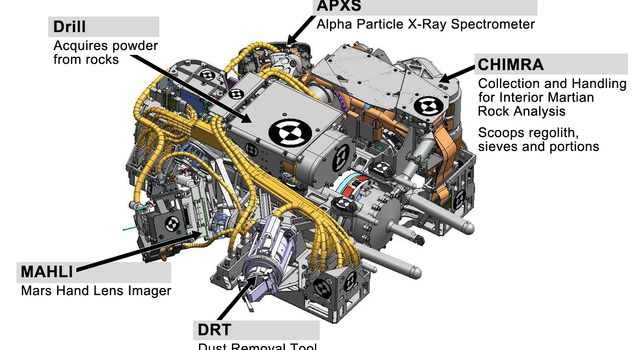 Checkouts in the next several days will include using the turret's Mars Hand Lens Imager to observe its calibration target and the Canadian-built Alpha Particle X-Ray Spectrometer to read what chemical elements are present in the instrument's calibration target. "We're still learning how to use the rover. 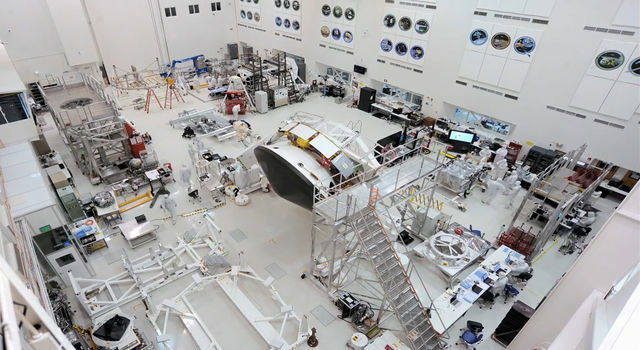 It's such a complex machine -- the learning curve is steep," said JPL's Joy Crisp, deputy project scientist for the Mars Science Laboratory Project, which built and operates Curiosity. After the arm characterization activities at the current site, Curiosity will proceed for a few weeks eastward toward Glenelg. 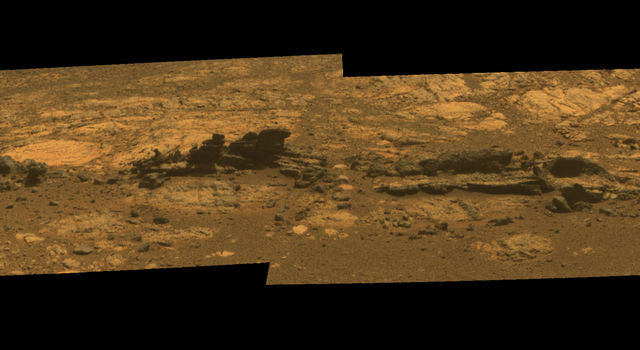 The science team selected that area as likely to offer a good target for Curiosity's first analysis of powder collected by drilling into a rock. 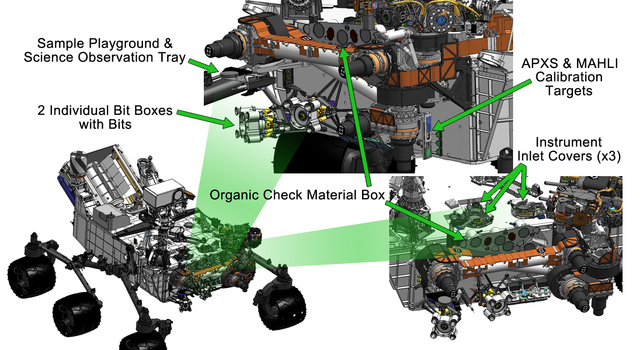 "We're getting through a big set of characterization activities that will allow us to give more decision-making authority to the science team," said Richard Cook, Mars Science Laboratory project manager at JPL. 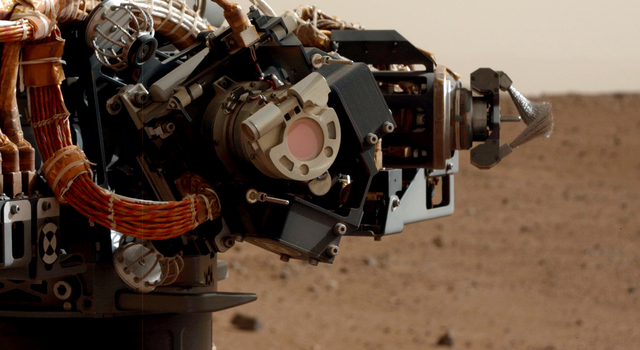 Curiosity is one month into a two-year prime mission on Mars. 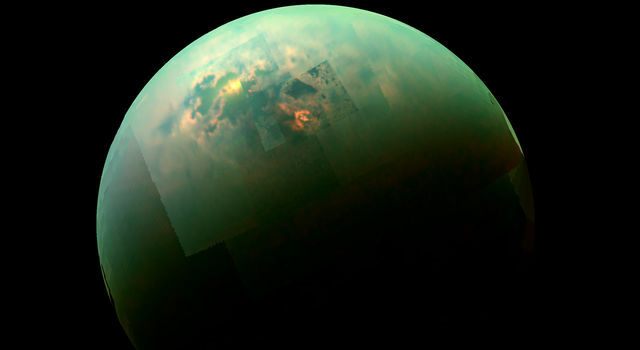 It will use 10 science instruments to assess whether the selected study area ever has offered environmental conditions favorable for microbial life. 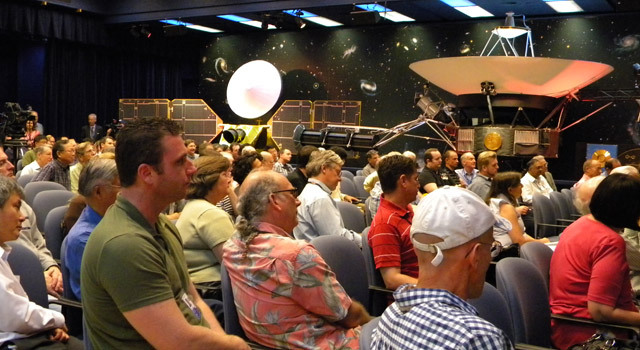 JPL manages the mission for NASA's Science Mission Directorate in Washington. 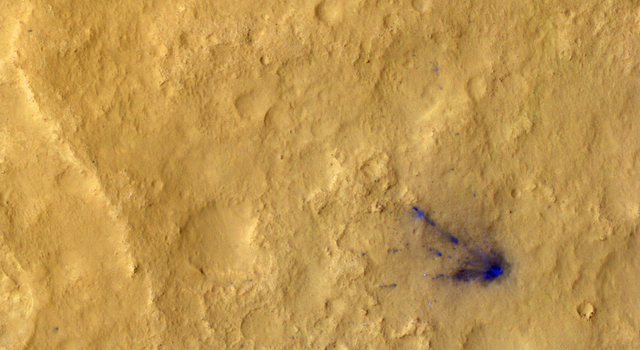 More information about Curiosity is online at: http://www.jpl.nasa.gov/msl , http://www.nasa.gov/msl and http://mars.jpl.nasa.gov/msl . 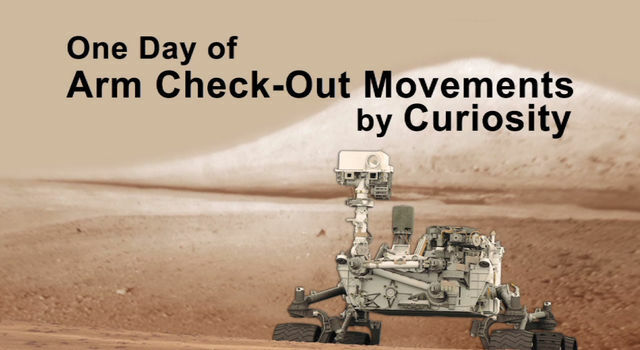 You can follow the mission on Facebook and on Twitter at: http://www.facebook.com/marscuriosity and http://www.twitter.com/marscuriosity .